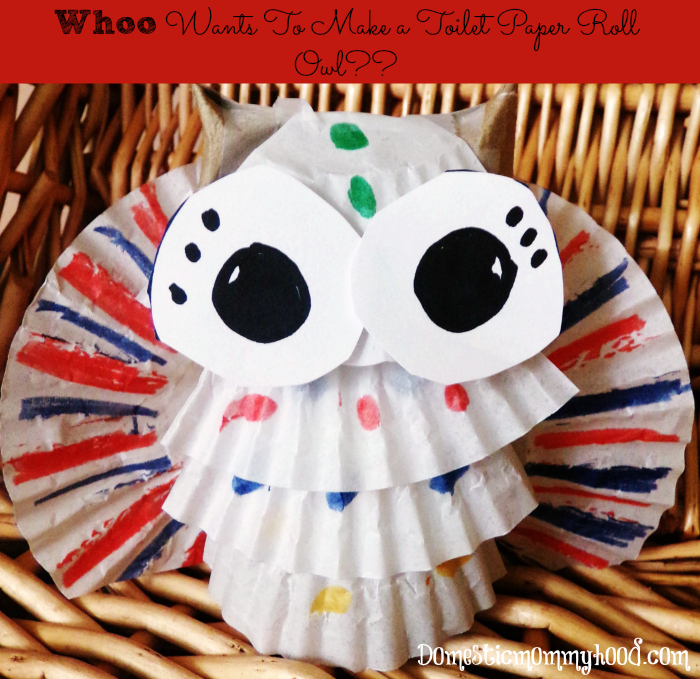 As you all know around our house we save everything to use for making kids crafts and this super adorable Toilet paper roll craft owl is not only easy but has your child working on many skills! There fine motor skills will get a boost in the pants while they learn to cut, color, and draw their way to a fabulous toilet paper roll craft that will look great on display in their bedroom or even on top of the mantle in your living room. 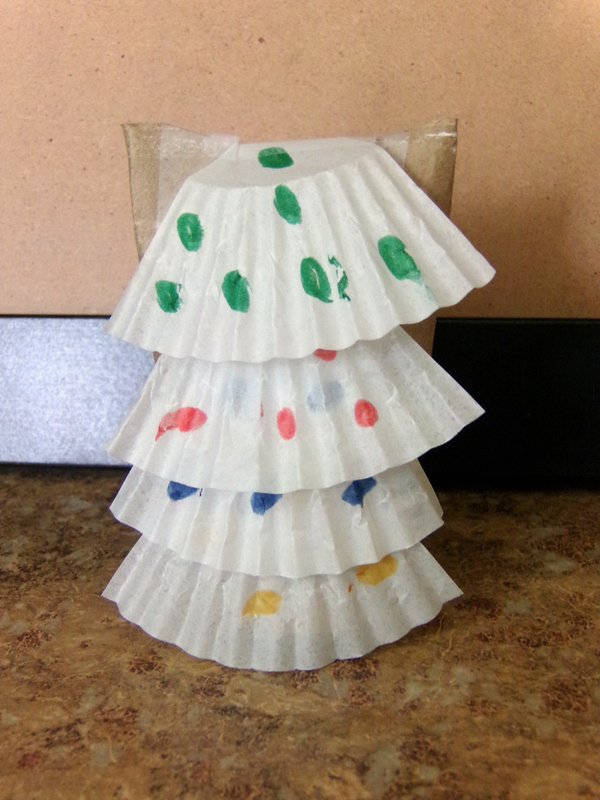 Take one of your cupcake liners that your child has colored and help them cut it into 4 equal pieces. You might be able to throw in a little math with this part 😉 Help them tape the cupcake liners down the front center of the toilet paper roll craft. Now to start working on the wings…. Cut one cupcake liner in half…….. a little more math learning for them 😉 and tape or glue the wings onto the back of the owl. Cut two large round circles for the eyes out of the cupcake wrappers and have your child color two black circles on the eyes, one on each. Tape the eyes just below the ears on the owl. I did find that it looked better if they overlapped just a bit. Place your finished product in a special place!! Your child worked hard on it and I bet it is beautiful!!! I bet they even had some quaility time that they spent with Mom, Dad, Grandma or Grandpa making it so it means a lot to them and they have made a great memory making it. That is after all what life is all about isn’t it?? Who cares of the house is dirty or if laundry needs to be done. Your child is only young once and if that is the only thing you learn from this blog then I have accomplished what I sat out to accomplish!! 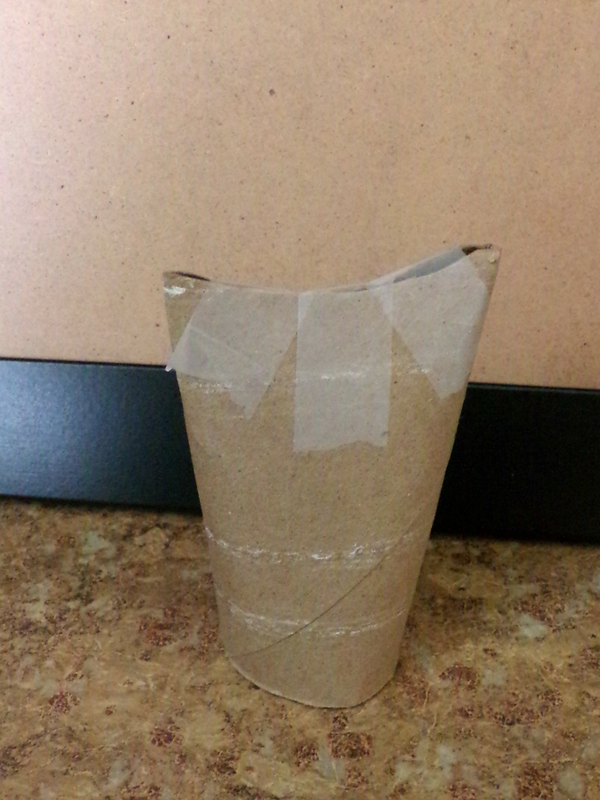 Can you tell me about a great toilet paper roll craft that you have made at you home?? Please feel free to send me pics and directions to domesticmommyhood @ gmail.com and maybe you will be featured on our website! !